Accreditation is an on-going business process rather than a one-off achievement. the evaluator is capable of sustaining the required level of performance. Click here for a list of the standards that UKAS operates to. The route to accreditation which sets out the process can be accessed here. What Standards can I be accredited for? 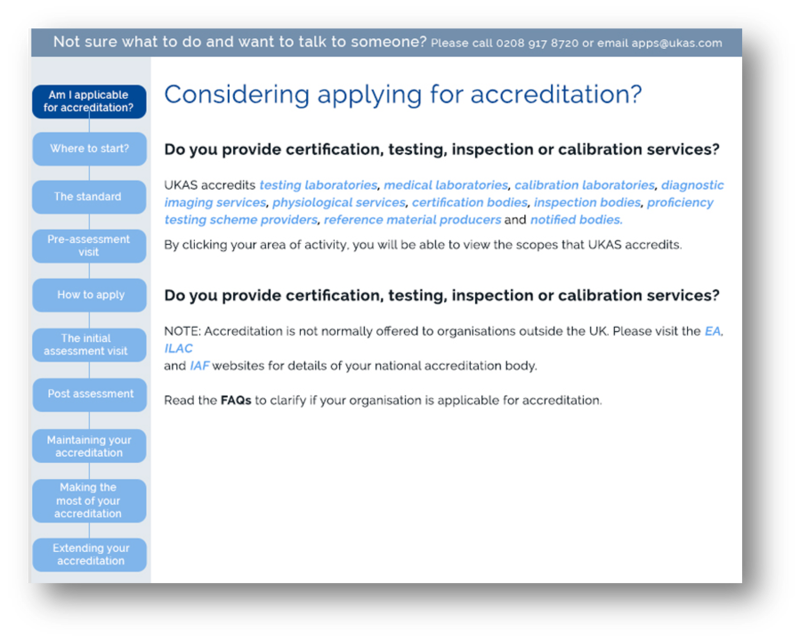 Click to access the directory of UKAS accredited organisations.